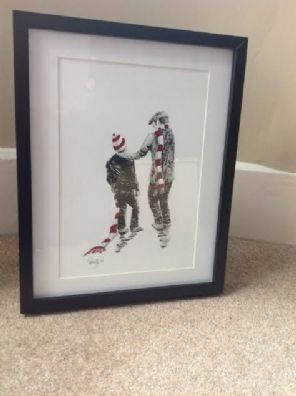 Let Paul create your own unique original artwork depicting 'We Can't Win Every Week Son' incorporating your own clubs scarves/colours - Price includes UK P&P - Once ordered please contact us at stadiumportraits@googlemail.com or speak to Paul on 07904718677 to let us know which club(s) scarves/colours you wish in your portrait. 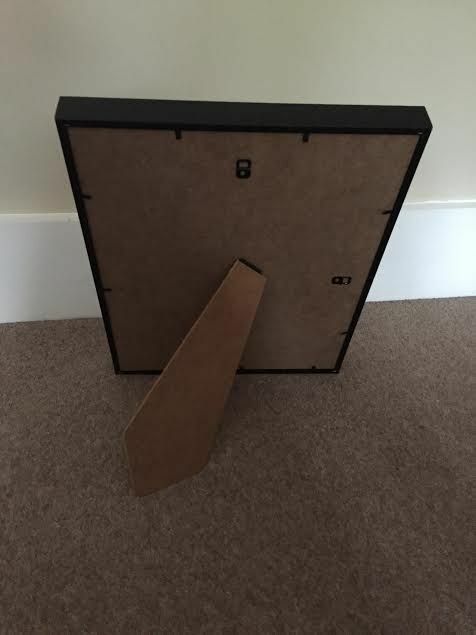 The frame supplied is 14'' x 11'' and can be wall mounted or as a free standing frame. This is a personally hand painted framed portrait and as such subtle differences may occur between each commission. These are purely painted from the heart.